Fast forward to 2015 and Dion was back at MdS for round 2 after needing to put some demons to bed and improve on his 2014 108th position result; and improve he did to a sensational 32nd overall! 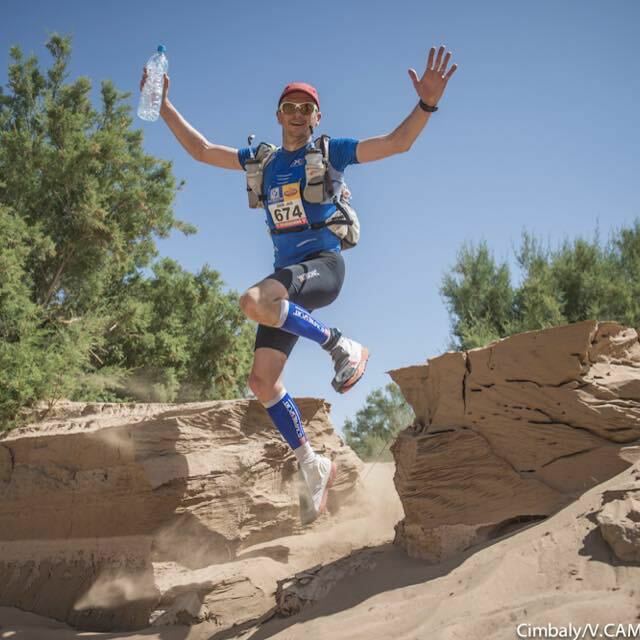 I on the other hand was still content in the ‘never again’ camp when he left for MdS2015, but something stirred in me whilst I watched the excitement unfold in the desert and I couldn’t resist, and hence I was registered for MdS2016 with my first installment for the race paid before he was even back in the UK. Why? What makes someone want to go back to this grueling race dubbed as ‘The toughest footrace in the world’? For me there is unfinished business; I finished 377th overall but it was the toughest week of my life and from Day 1 the race humbled me and crushed my confidence time in and time out until I was left using every ounce of my willpower to not quit and to run, walk and trudge my way to the finish line. I felt such a mixture of emotions at the finish line that year, elated that it was over and that I could call myself a finisher but somehow disappointed in myself. No one else was disappointed in me, no one even asks you where you came they are just amazed you finished it, but I was disappointed. And that’s what has driven me back again. I took motivation from watching Dion in 2015 as he went from strength to strength and as he totally smashed the long day where he led for most of it and my mind was made up. It’s not the type of race that you can get caught up in the momentum and just frivolously decide to enter, this race costs money. Lots of it! £3k for the entry fee alone, and then you need to take into account the cost of the kit, food and the cost of your time to train. Hours and hours of sacrifice are needed over the months preceding the event for training and planning and the closer you get to the event your whole life gets swallowed up by the MdS, this includes all your friends and family as you can think, or speak of nothing else apart from MdS so they unfortunately are in that cycle too. Our house has become slightly MdS obsessed now with Dion already registered to go back in 2017 to push for a top 20 placing and who knows after that?! I’m focused, I’m ready, I know what I’m in for which is why I am fluctuating between excitement and full blown s**t scared emotions in the space of a minute. I’ve prepared well, I structured my own training plan specifically for MdS which kicked off the beginning of January, whilst of course keeping myself ‘ultra’ fit for the back end of 2015 but I was conscious that Jan-Apr is a long time to be focused and I didn’t want to burn myself out too soon. 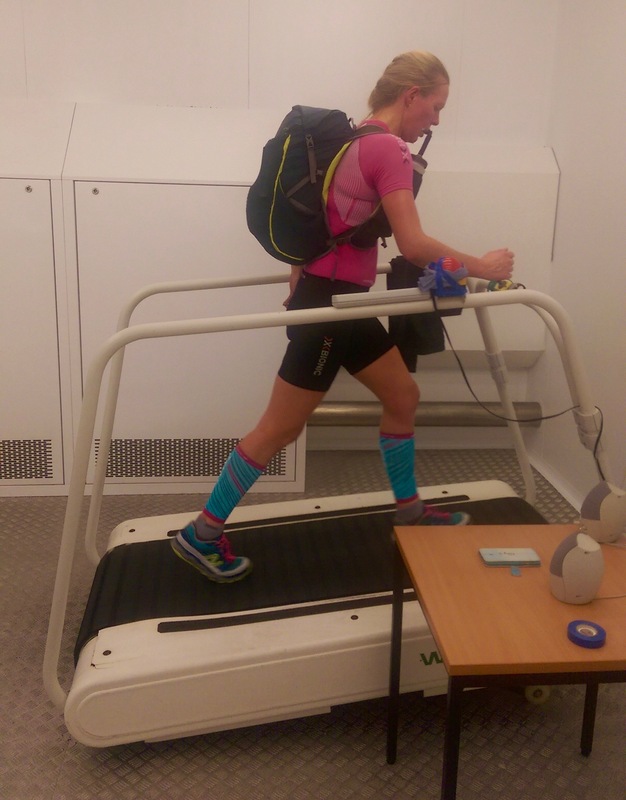 I included a few local races to keep myself on track and monitor progress and the biggest change this time around is the heat chamber training. 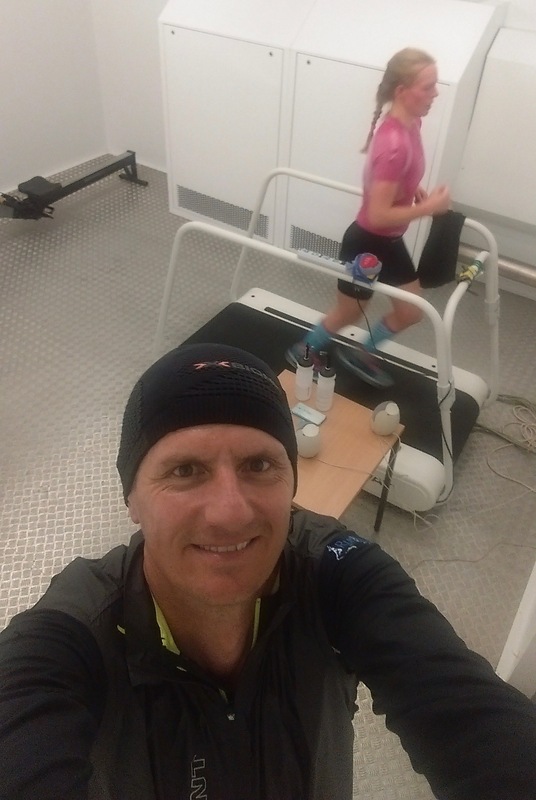 I kicked off with some DIY heat chamber (spare room at home kitted out with industrial heaters and a treadmill) and Bikram yoga over Easter weekend and am now halfway through a few blocks of training at the climate control chamber at Napier University. I am confident this will be a big help for the week as I recall from 2014 the searing, unrelenting heat was a major factor in my struggle. My kit hasn’t changed much from 2014, I will be wearing X-Bionic again as there is just no better choice for the desert; it’s comfortable, doesn’t chafe, doesn’t stink and the technology of the material turns your sweat into cooling – now don’t be fooled that you feel you are running in air-conditioning but the material works very well and it is not stifling or uncomfortable at all. I still have my ankle gaiters from last time and will be sticking with my New Balance Leadville’s to keep my feet in good condition and get me through the multi terrain unscathed. I’ve since discovered Runderwear so will be wearing the Runderwear crop but not the briefs as X-Bionic is designed for the commando! I’ve opted for the Ultimate Direction Fastpack 20L bag which I have stripped off any excess straps for weight and of course have calculated my daily food rations in meticulous detail in a very in depth spreadsheet. You are required to take a minimum of 2,000 calories per day, but I need more so I have got a range from 2,700 for most days to 3,800 on the rest day! I’m also taking a couple more luxuries this time in the form of an inflatable Exped pillow and a lightweight jacket as sleep and warmth are essential for recovery so anything that will help me achieve that is worth the extra weight. My final bag weight is 6.9kg dry. I’m heading out this time without Dion so that will be a different experience, I have never done a multi day race without him but I already know 2 of my Aussie tent mates, Pooley and Peter, from last time so there is comfort in familiarity even if you know that one of them snores! I also have a great friend coming in the UK camp, Marina Ranger, who I have also been coaching leading up to the MdS so that will be great to have her out there to experience this amazing race with me, along with a load of other UK runners who I have gotten to know over the years at various races and through twitter connections leading up to MdS. So I won’t be alone, but I will miss the security of having Dion beside me at the end of each day. 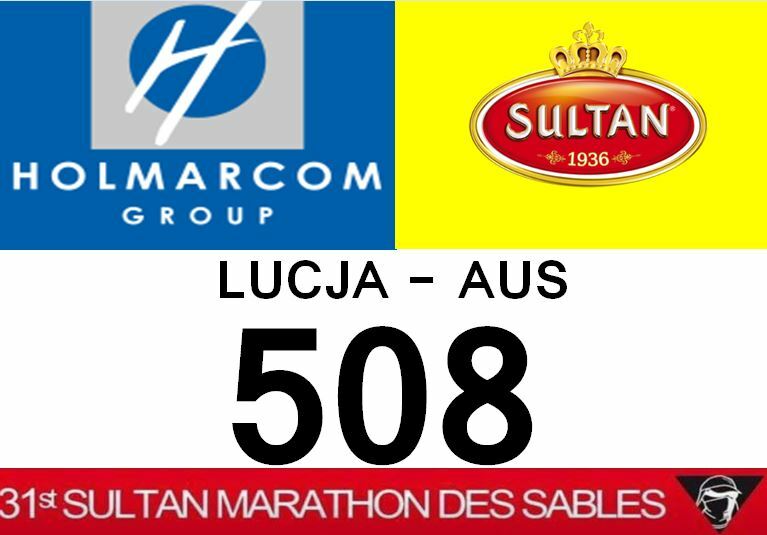 You can track me and any of the other runners from April 10th at http://live.marathondessables.com/ by signing up for live updates or watching the spot tracker and the finish line webcam each day. I am #508 and would love to hear from you while I am out there to spur me on. You will be able to email any of the runners during the race to give encouragement and I know from last time how important this is to my mental well being so email away! I won’t be able to respond until I am back in civilisation but know now that I will be well and truly appreciating all the messages. I’m looking forward to enjoying my time out in the Sahara desert, enjoying the breathtaking beauty of the surroundings and the camaraderie of the whole experience whilst pushing my body to the limit. I have my own inner goals to drive me for this race and I am going to give it all I’ve got so I can walk away with my head held high and proud of whatever I achieve. To coin the phrase from Dion ‘Don’t leave any change on the table’ will be my motto! Good Luck Lucja, I so admire you for facing these challenges in such extreme destinations. Take care of yourself and stay positive. Hi, I stumbled onto your blog and wanted to say: good luck!